Spacious appartament in villa just outside and over-looking the medieval town of Montepulciano with large garden and wonderful view. Situated in the heart of one of Tuscany's top wine-growing areas and within easy reach of Florence, Siena Perugia and Rome. Superb countryside, legendary local cusine, and the unique artistic heritage of tuscany can be enjoyed as well as visit to nearby Umbria and Trasimeno lake. 5 minutes walking from bus station and tennis courts and 10 minutes walking from nearest supermarket. thank you very much, it's always a pleasure to have guests like you !!! We spent 4 nights here with our 2 children. 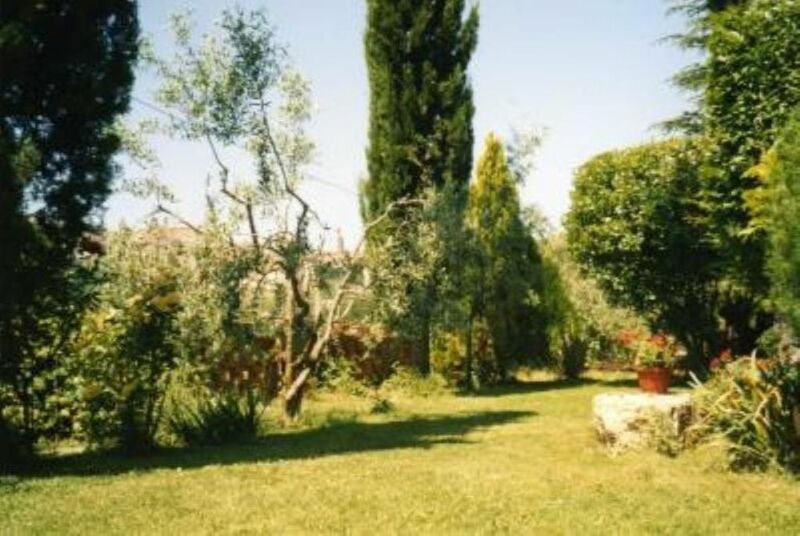 It is very spacious with a good outdoor space with excellent views of montepulciano . The town is a 5-10 mins walk, and it is a good base for exploring other towns and villages in the area. Great apartment with a wonderful view of Montepulciano! Spacious, had all amenities. Made for a perfect base to explore the hill towns of Tuscany! "Our memories of Tuscany will always include the wonderful hospitality of the owners. Hugo was available for any information requested and the location was superb as a centre to explore the region. We self catered, with only a couple of memorable exceptions, and the facility provided all the necessary appliances and equipment - plus a terrace, with a marvelous view of Montepulciano 1.5 kms.away. for our evening dining!" "It was really pleased to stay at the place. Very quiet from the one hand and It's very easy to access of Montepulciano center to the another hand. Owner family - is Very warmful and responsive persons. " Tariffe scontate in relazione alla durata, Tariffe in funzione del numero di persone, Caparra richiesta alla prenotazione, Consegna delle chiavi da parte del Proprietario. check in dope le 16 check out prima delle 11 (salvo accordi col proprietario) Fino al 30 ottobre e dopo il 30 aprile il riscaldamento non è compreso nel prezzo . L'uso della lavatrice è consentito solo per soggiorni di 3 o più notti use of washing machine is free for guests who stay more than two nights. The price of heating is included from November 1 to April 30.